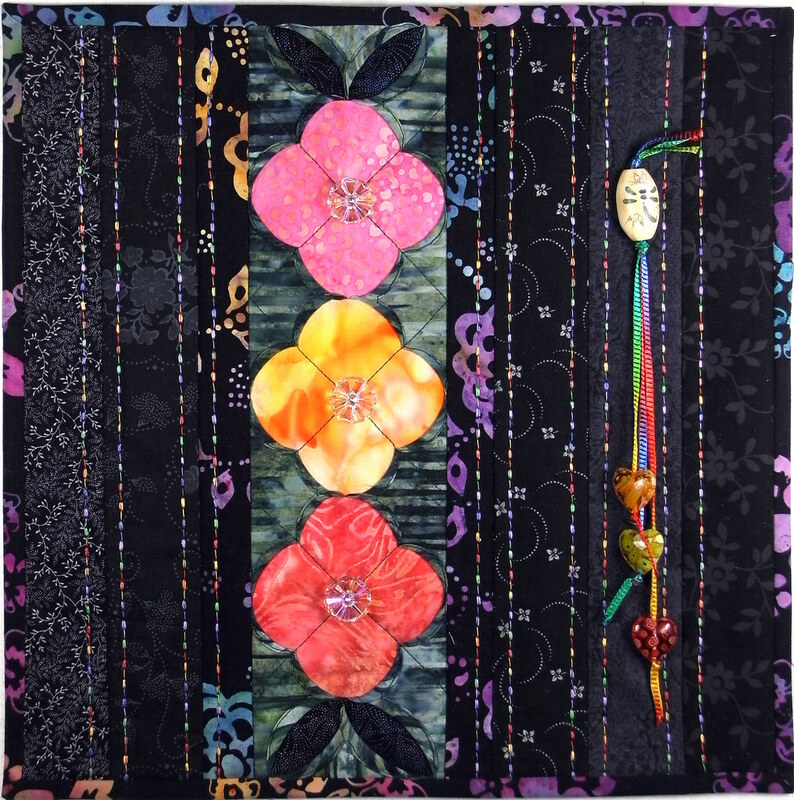 Black strips of complimentary black fabrics frame the three Cathedral Window Flowers of “Hearts and Flowers”, this weeks Twilt. 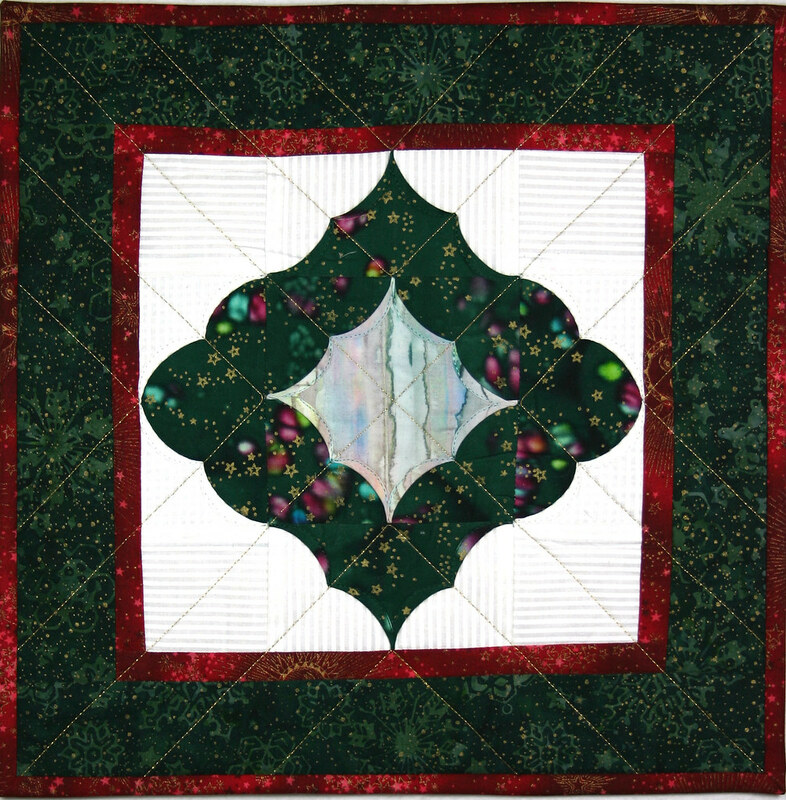 These flowers can be found in the border of Lotus Lullaby and Easy Cathedral Window Flowers, two of my patterns. Just a touch of a verigated fancy machine stitch adds a little color to the black strips. 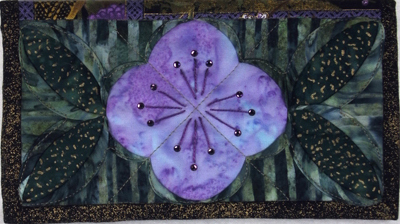 I used glass buttons for the flower centers. 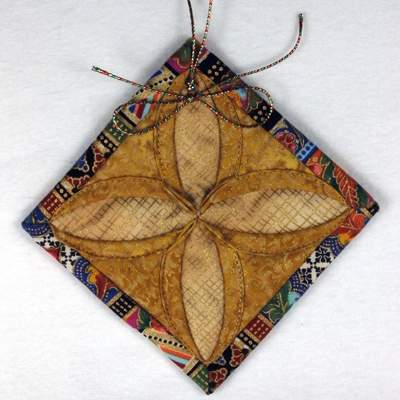 Three hearts hang on rayon ribbon from a big bead with a painted dragonfly. Winter is hardly here and I’m thinking of Spring. The holidays are upon us so I wanted to be a little festive this week. 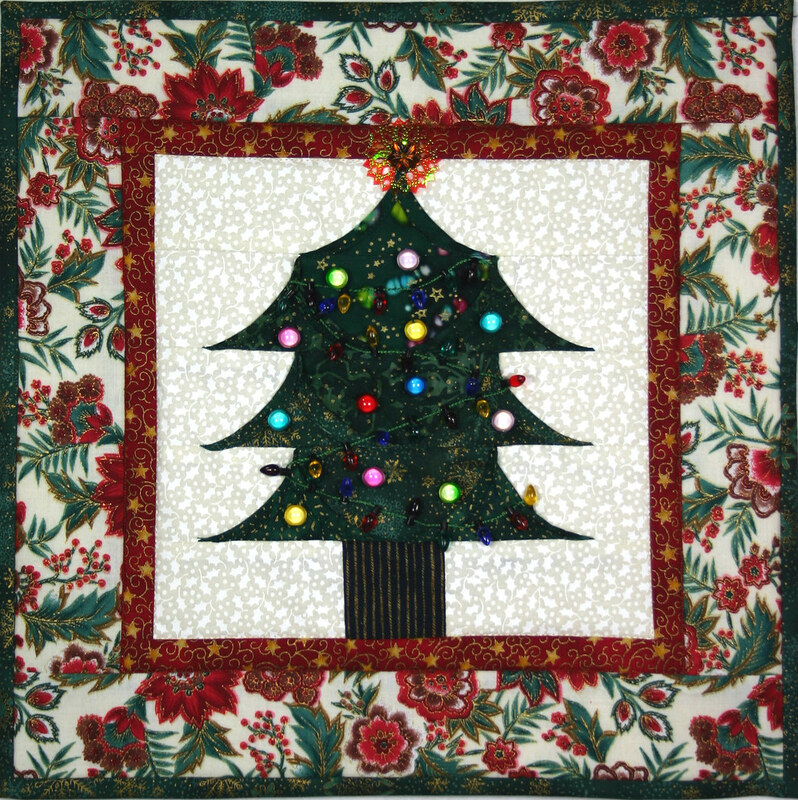 Tuesday’s Twilt, “Holiday Ornament” is a single block from my pattern Cathedral Window Ornament Table Runner. Enjoy! I have been thinking about a shop on Etsy for over a year and I can’t believe it but my shop, Shelley’s Design Works, is now OPEN! If you’re interested in owning one of my designs I encourage you to visit. 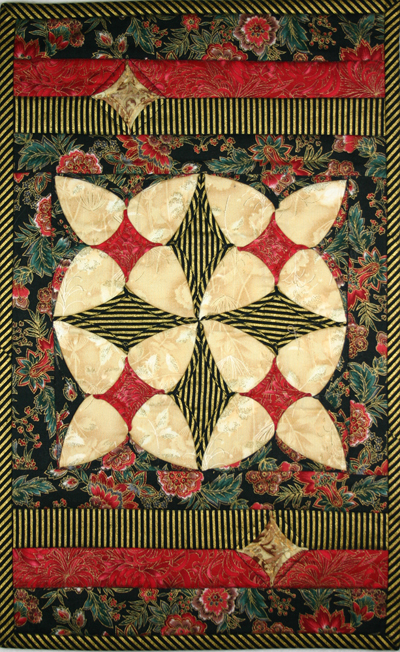 Over the next month and on into the next year and maybe beyond I will be posting quilts, table runners, samples from my books and patterns and small items like needlecases, ornaments and my zip bags. So, please take a peak. All of the pictures you see here are items that are available. 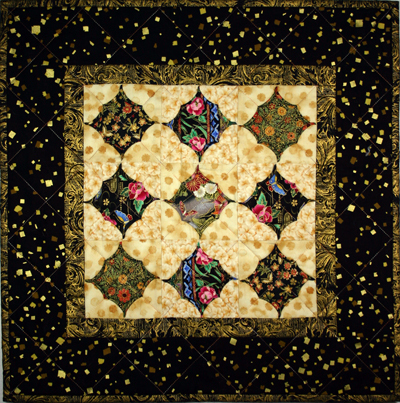 Above and on the right are two mini quilts that would make wonderful wall or table pieces. 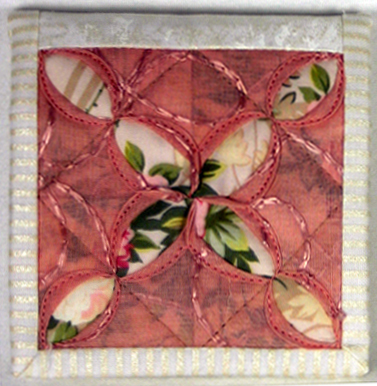 The pink piece above and the lavender flower below are needle cases. On the right is one of my ornaments. 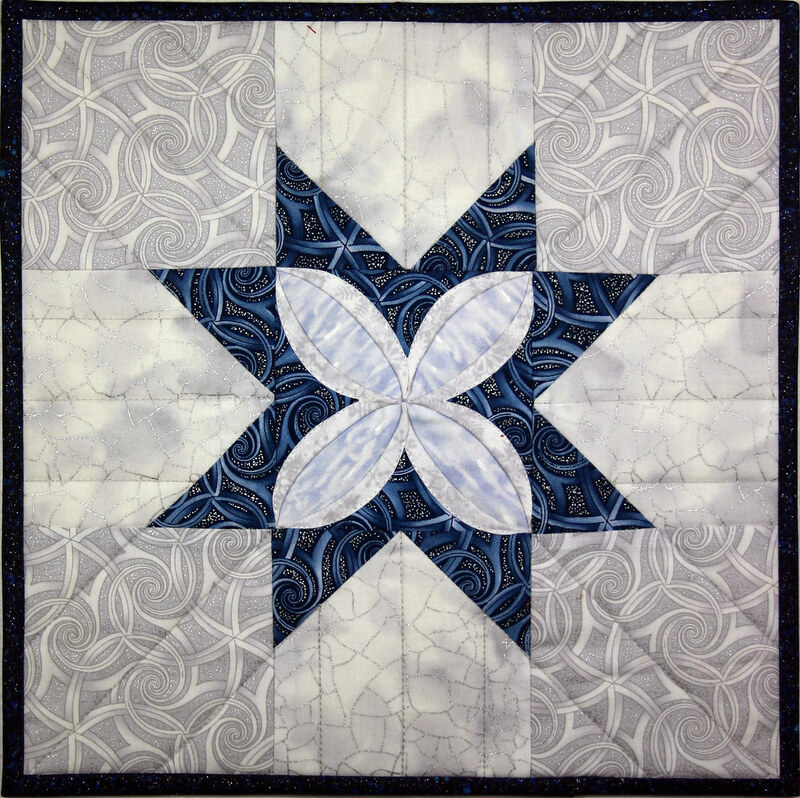 A simple Ohio Star block with a Cathedral Window center is this weeks Twilt. “Winter Sparkle” welcomes in the season. I hope for the very best Holidays for everyone!